Two weeks ago, a blog post by TV writer, novelist, and screenwriter Pamela Ribon became a viral sensation, spreading across social media channels, spawning dozens of blog posts and news reports on other media sites, and drawing attention to the very real problem of sexual stereotypes in the tech industry. 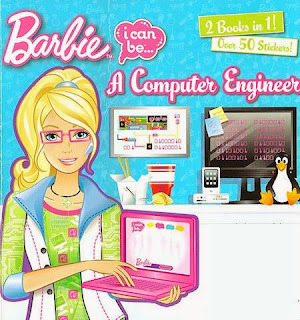 Her piece, a critique of a children’s book in which Barbie works to become a computer engineer, has resonated with her readers, many of whom have contributed to the ongoing development of the narrative by crafting spin-off stories and social media posts. Ribon’s blog entry illustrates the powerful and disruptive nature of Web 2.0 tools in the creation and dissemination of contemporary news stories. Ribon may not have written her piece with the intent of serving as a journalist or creating a firestorm of controversy that would lead to broader social change, but her blog has itself become a news story and has already generated a response from both Mattel—the parent company which owns the Barbie brand—and Amazon, the online retailer that sells many Barbie-related products, including the book in question. New media platforms enabled this story to be developed in the first place, helped it reach a widespread audience through social media sharing, and even facilitated audience participation in the creation of a crowd-sourced reimagining of the original storyline. Ribon’s blog post—and its subsequent influence on other digital communications platforms—provides a compelling illustration of how new media have changed who authors content, how it is distributed, and how the audience is able to actively participate in the continuing development of the narrative following its original publication. Although the Barbie book was originally published back in 2010, initial criticism of the story was not powerful or widespread enough for the matter to be picked up by traditional media. Ribon’s article not only reported the story but created it, generating the public interest (or outrage) that fueled the spread of the news and made Ribon herself the focus of other blog posts and media reports about the growing popularity of the scandal. While traditional media failed to recognize and report on the matter for four years, a mere blog post has generated immense interest in the story over the course of a few days. It’s not that the topic is obscure, either; a Business Insider story about Silicon Valley and gender equality problems ran back in February, noting that “only 12.9% of Silicon Valley engineers are women,” and the blog of the San Francisco Gate drew attention to a Twitter photo highlighting the lack of women at an Apple developer conference in the summer of 2013. Although professional journalism remains relevant and important, it is no longer exclusive; with new media, the authorship of newsworthy stories is not relegated to the ranks of news reporters. New media channels have also impacted the distribution of news stories, which are no longer primarily shared through the source article itself. While there is no public counter for the number of views Ribon’s original article has received, it has generated a relatively small number of comments—only 178 as of this writing. By contrast, links to the post have been tweeted over 2,300 times, and it has received over eleven thousand Facebook likes. A trio of posts on Mashable.com have garnered over 9,300 combined shares, and similar stories have appeared on other blogs and traditional media outlets including TechCrunch, CNET, BuzzFeed, Slate, Time, ABCNews, USAToday, NPR, and the BBC. The synergistic effect of various new media platforms working in conjunction contributes to the spread of the story in ways not possible with traditional print news alone. Finally, new media outlets invite audience participation to an unprecedented degree. Ribon’s contribution to the blogosphere has demonstrated this in several noteworthy ways. First, her post has inspired others to revise the text to correct perceived problems with the original. 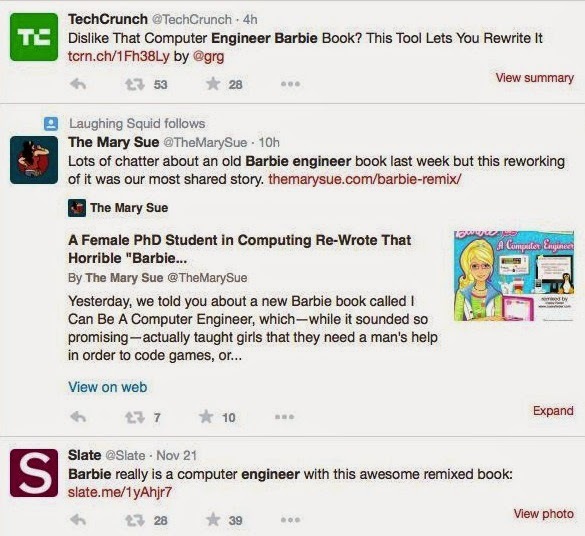 Programmer Kathleen Tuite, for instance, has created the Feminist Hacker Barbie site to enable users to select a page from the original and enter their own text to create a remix, and a Tumblr account allows these mashups to be shared to a wider audience. Furthermore, the backlash again the book has led to the release of an official apology from toy manufacturer Mattel, and the book is no longer available for sale on Amazon. 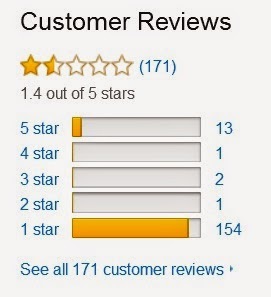 For a short time, the link to the book's Amazon page brought up a “404 – Document Not Found” error on the web site; now, the page appears to be available again, displaying 154 one-star reviews out of 171 total—with all but a handful of those coming in the few weeks since Ribon's blog entry was posted. Because many of Ribon’s readers quickly became vocal activists, real change took place in short order. While traditional media have always enabled transformative social change, the degree to which new media extend and amplify that influence is remarkable. As the case study of a simple blog post and its cultural impact poignantly illustrates, new media outlets can serve as powerful tools for creating, sharing, and interacting with news stories, encouraging citizen authorship and reader participation.